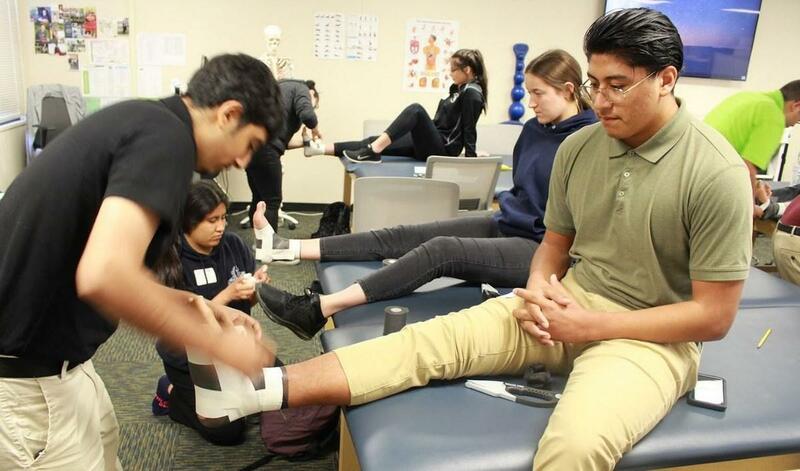 This two-semester course provides instruction and career awareness in the field of Sports Medicine. This fast-growing health care field focuses on helping clients improve their athletic performance, recover from injury, and prevent future injuries. Sports medicine specialists treat professional and recreational athletes, as well as people with disabilities and those who wish to increase their mobility and physical capabilities. With its rigorous academics, a high level of independent study will be expected of students enrolled in this program. Training is divided into academic coursework and, for qualified students, hands-on clinical experience. Sports Medicine students should have a “C” or better in Biology/Life Science and solid reading comprehension skills. 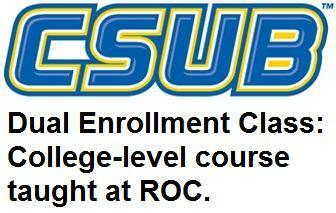 Students may simultaneously enroll with CSUB while taking this class at ROC in order to earn 4 units of CSUB credit in addition to the above high school credit. The Advisory Board provides crucial guidance for the Sports Medicine program at ROC. These industry partners have generously donated their time and expertise to share industry trends, offer assistance, and ensure the curriculum is providing the highest levels of training and career development opportunities for our students.